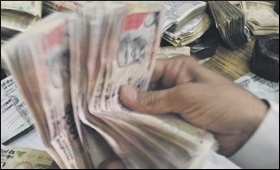 Bank credit rose by 13.24 per cent to Rs 97.67 lakh crore in the fortnight to March 29, while deposits grew by 10.03 per cent to Rs 125.72 lakh crore for the period, according to data released by the Reserve Bank of India (RBI) last week. This is the second consecutive double-digit credit growth after the same had declined to 4.54 per cent in FY17 at Rs 78.41 lakh crore, which was the lowest since 1963. The news sounds good.